Just three days after former president Joseph Estrada appealed for a "full, free, and unconditional pardon," President Gloria Macapagal-Arroyo signed today, October 25, the executive clemency for Erap. Former president Joseph Estrada was granted executiveclemency by President Gloria Macapagal-Arroyo today, October 25. "In view hereof and pursuant to the authority conferredupon me by the Constitution, I hereby grant executive clemency to JosephEjercito Estrada, convicted by the Sandiganbayan of plunder and imposed apenalty of reclusion perpetua. He is hereby restored to his civil and political rights. "The forfeitures imposed by the Sandiganbayan remain inforce and in full including all all writs and processes issued by theSandiganbayan in pursuance hereof, except for the bank account he owned beforehis tenure as President. "Upon acceptance of this pardon by Joseph Ejercito Estrada,this pardon shall take effect. Givenunder hand at the City of Manila, this 25th of October, in the yearof our Lord, 2007." ESTRADA ASKING FOR PARDON. On Monday, October 22, GMA News reported thatEstrada, through his lawyers, withdrew his motion for reconsideration andappealed for a "full, free, and unconditional pardon." That same day, Atty. Jose Flaminiano, one ofEstrada's lawyers, sent a letter to Malacañang stating, "Today we filed a withdrawalof his motion for reconsideration. President Estrada himself believes thatappeal to the Supreme Court would be futile or even the possibility of afavorable judgment will not justify several more years of detention." Flaminiano also wrote that the "delicate condition" ofEstrada's 102-year-old mother, Doña Mary Ejercito, "deteriorated when shelearned of what has befallen her son." Moreover, the lawyer also said that Estrada's ouster fromthe presidency and the humiliation that came with it was enough punishment. JINGGOY'S REACTION. In an interview from Geneva, Switzerland, Estrada's son, Senator Jose "Jinggoy"Estrada, expressed his feelings about the executive clemency that was granted tohis father. 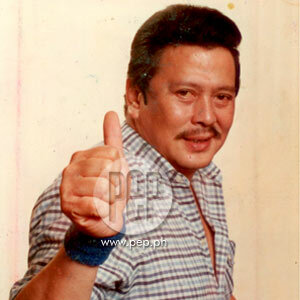 Jinggoy said to GMA News, "Iam very, very happy that President Arroyo granted clemency to President JosephEstrada." He further said, "I cannot describe in words how Ifeel. I am very happy... And my father has forgiven all who betrayed him."